Previously a Presidential Appointee to three U.S. Presidents and Chief Executive Officer of a Fortune 100 company, Mr. Bolduc is frequently sought after as a speaker, consultant and advisor. Mr. Bolduc served as Chairman and Director of numerous social, civic and government Boards and Commissions and is a Director of several private and public corporations, including Unisys Corporation, EnPro Industries, Inc. Lance Inc., Newmount Gold and Mining Companies, Marshall & Isley Corporation, Proudfoot PLC and Sundstrand Corporation, to name a few. Mr. Bolduc was also a Trustee at the William E. Simon Graduate School of Business at the University of Rochester, an Advisor at the University of Notre Dame School of Graduate Studies and a Director of the Edison Preservation Foundation. During 2003-2004, Mr. Bolduc served as President and Chief Executive Officer and Director of J. A. Jones, Inc., a multibillion dollar global construction and engineering services company. Mr. Bolduc was previously President and Chief Executive Officer, as well as Director, of W. R. Grace & Co., a Fortune 100 company, prior to establishing JPB Partners, LLC in 1995. In 1983, Mr. Bolduc joined W. R. Grace as Senior Vice President. Shortly thereafter, he was promoted to Chief Financial Officer and Vice Chairman and then onto President and Chief Executive Officer. In 1990, Mr. Bolduc partnered with William E. Simon, Sr., the former U.S. Secretary of the Treasury under Presidents Nixon/Ford, to form Catterton-Simon Partners ("CSP"), a Greenwich, Connecticut-based private equity firm focused on the consumer products industry. Mr. Bolduc served as a Co-General Partner of CSP's first three private equity funds. In 1988, while Chief Operating Officer of W.R. Grace, Mr. Bolduc was appointed as non-executive Chairman of the DeRance Foundation, the world's largest Catholic Foundation, located in Milwaukee, WI. From 1982 to 1985, Mr. Bolduc served as Chief Operating Officer (COO) for President Reagan's Private Sector Survey on Cost Control (the "Grace Commission"). As COO of the Grace Commission, Mr. Bolduc led the efforts of 161 prominent business leaders (consisting almost entirely of Fortune 500 CEOs) and more than 2,000 private sector business leaders in a near three year study focused on identifying managerial and operational cost savings opportunities, as well as revenue enhancement initiatives in overall federal government operations. President Reagan also appointed Mr. Bolduc to his Task Force on Food Assistance in 1983. Mr. Bolduc also served as a Vice President and Partner with the global management and technical consulting firm of Booz Allen Hamilton Inc. from 1977 to 1983. Prior to 1977, Mr. Bolduc served as a Presidential Appointee under Presidents Nixon and Ford. Mr. Bolduc has been honored with several prestigious awards including the Excalibur Award presented by Sun Sentinel Newspaper in Ft. Lauderdale, FL; Outstanding Business Leader Award presented by Northwood University of Palm Beach, FL; Man of the Year Award presented by the Crohn's & Colitis Foundation of America; Junior Achievement Award presented by the Business Hall of Fame of Ft. Lauderdale, FL; the Howard County, Maryland Chamber of Commerce Person of the Year Award in 2009; and the highly recognized Public and Humanitarian Services Award presented by the Appeal of Conscience Foundation, in New York City. Mr. Bolduc possesses a B.A. Degree in Accounting from St. Cloud State University and has completed graduate studies in finance, human resources and general management. He is married to his wife of 53 years, and has four adult children. Mr. Rohde is a Managing Director of JPB Capital Partners. 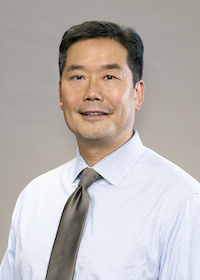 He joined JPB Partners in 2007 and has served as CEO of two JPB Capital Partners' portfolio companies: Motif Design (a subsidiary of DisplayWorks) and Davis Inotek Instruments. As CEO of Davis Inotek Instruments, Mr. Rohde transitioned the 100-year old distributor of test and measurement equipment to a nationwide calibration services firm increasing revenue by 14% and EBITDA by 258% in 2008, and another 3% and 17%, respectively in 2009. 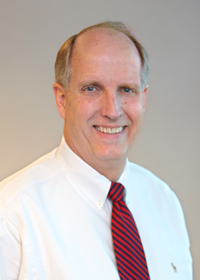 After successfully selling Davis Inotek Instruments to Danaher Corporation in 2009, Mr. Rohde joined JPB Partners as CEO of JPB Partners' Strategic Advisory group. Mr. Rohde will transition to a full time role with JPB Capital Partners following the initial closing of Fund III. Prior to joining JPB Partners, Mr. Rohde held several executive level positions including President and COO of EMG, LLC, an environmental and engineering firm, CEO of Network Building & Consulting, LLC, a venture capital-backed telecommunications firm, and President of Communications Solutions Group, a division of Convergys Information Management Group, where he led the expansion into Europe and South America. Mr. Rohde earned his Bachelor of Arts in Mathematics and Master of Business Administration from Loyola University, Maryland. In his role as Senior Managing Director of JPB Capital Partners, Mr. Bolduc leads the execution team in deal sourcing and analysis, deal structuring and execution, post-investment value creation, and exit planning. 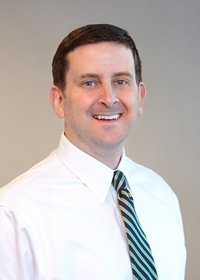 Since joining JPB in 1997, Jim has been the principal architect of JPB's private equity operations. Prior to joining JPB Partners, Mr. Bolduc was an Associate in the Investment Banking Group of Merrill Lynch & Co. in New York. During his tenure at Merrill Lynch, Mr. Bolduc led or participated in a myriad of acquisitions, divestitures, and equity and debt public offerings with an aggregate value in excess of $25 billion. Prior to Merrill Lynch, Mr. Bolduc served as a Management Associate with the venture capital subsidiary of Marshall & Ilsley CorporationM&I Ventures (now Mason Wells). Mr. Bolduc currently is a member of the board of directors of Value Drycleaners of America (dba, ZIPS), Ticknors Men's Clothiers, Mulligan's Beach House Bar & Grill, and South Moon Sales. 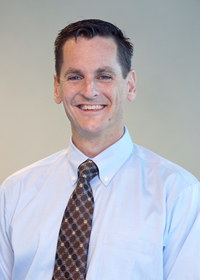 Mr. Bolduc also serves as a Director on the Anne Arundel Medical Center Foundation Board of Directors. 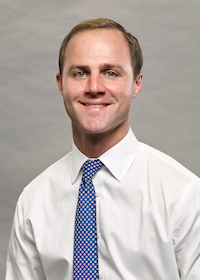 Mr. Bolduc earned a Bachelor of Business Administration degree in Finance and Business Economics from the University of Notre Dame and a Master of Business Administration from the Colgate Darden Graduate School of Business Administration at the University of Virginia. 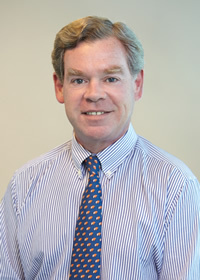 Mr. Carey joined JPB Partners in 1998 and is a Managing Director for JPB Capital Partners II. He brings experience in mergers, acquisitions and senior operations management to the company. Since joining JPB Partners, Mr. Carey has participated in and led more than 35 financial advisory assignments with an aggregate value of over $1 billion and more than ten strategic-growth consulting assignments for lower-middle market companies in the Mid-Atlantic and Southeastern U.S. 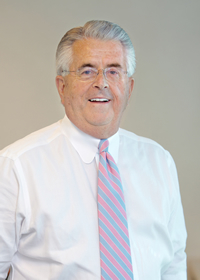 Prior to joining JPB Partners, Mr. Carey was a Director of Mergers and Acquisitions for Townsend, Inc., a privately owned processor of prepared foods. Prior to Townsend, he served in various capacities with W.R. Grace & Co., including President of Grace Culinary Systems, and President of American Café Restaurants. Mr. Carey was also actively involved in a broad range of acquisitions and divestitures at W.R. Grace as a Senior Assistant to the Chairman. He earned a Bachelor of Arts degree in Political Science from Trinity College and a Master of Business Administration from the New York University Graduate School of Business. Mike Kalinock joined JPB Partners in 1997 and has been the principal architect of the JPB Partners Real Estate investment group. Since joining JPB Partners, Mr. Kalinock has represented the company in the sourcing, acquisition, deal structuring, development and divestiture of more than $125 million in real estate transactions. Additionally, Mr. Kalinock's responsibilities have included strategic planning for the company's real estate group, asset management, property management and financing procurement for the company's portfolio. Mr. Kalinock earned a Bachelor of Science Degree in Mathematics from Frostburg State University and a Master of Business Administration from the Robert H. Smith School of Business at the University of Maryland.